A European inspired cafe is coming to Orange County at the District at Tustin Legacy! 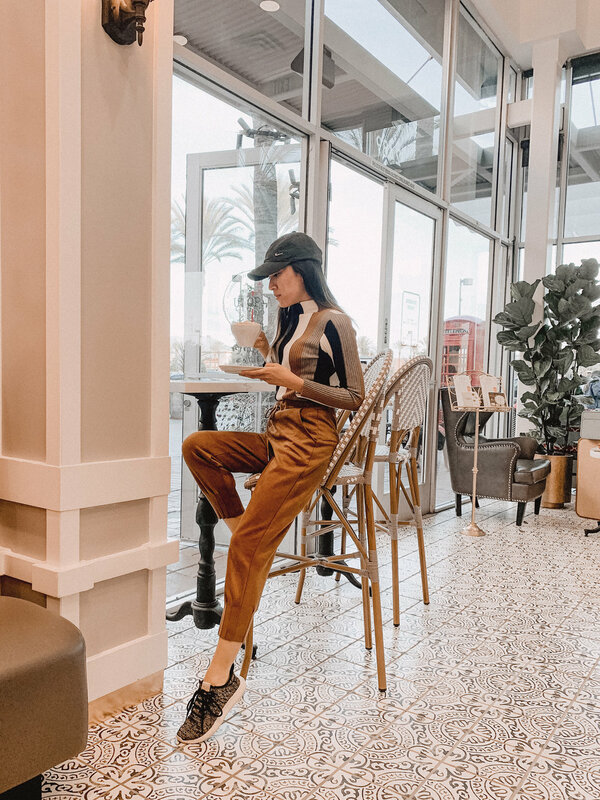 Utopia Euro Caffé created by Yalcin Aslan and Sam Lee of DönerG (a Turkish and Mediterranean staple in Orange County) will offer specialty coffee drinks and breakfast dishes and light bites. Try everything from artisanal lattes and desserts to egg breakfasts, sandwiches, paninis, salads and more. You’ll be in for a delight as soon as you step into the cafe; there’s a mix of vintage, Parisian and London cafes and clean, contemporary elements with it’s exquisite patterned floor tile and bold rose wallpaper and vintage trunk adorned walls, as well as the plush pink seating which leads through bistro style seating to an inviting patio dining area featuring a fun touch with an iconic red phone box booth. Come celebrate the GRAND OPENING on Saturday February 2nd 11AM. 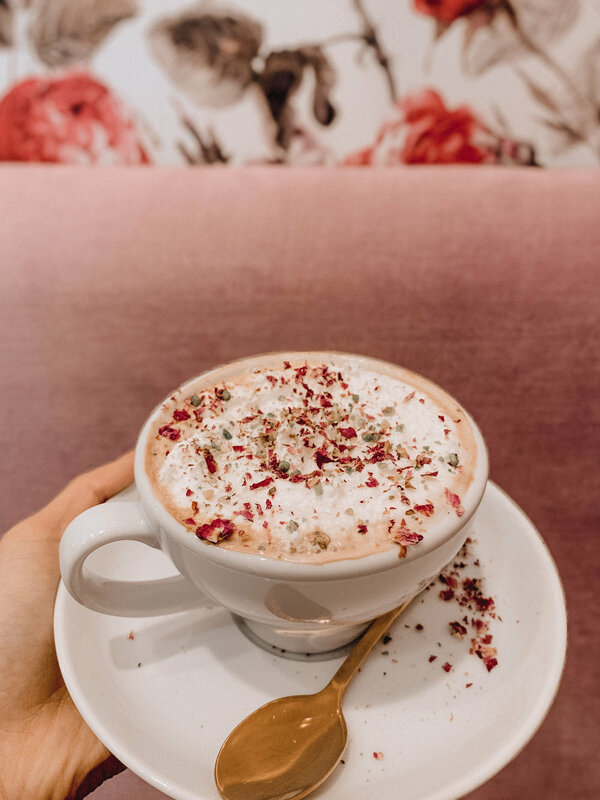 The first 100 people will receive a FREE Utopia Latte (which has white chocolate, pistachio bits and dried rose petals) and a Rose Croissant! If the cake display doesn’t pull you in enough, you’ll definitely want to spend time exploring the menu. See more about the menu below and thanks 100Eats for the tasting preview! 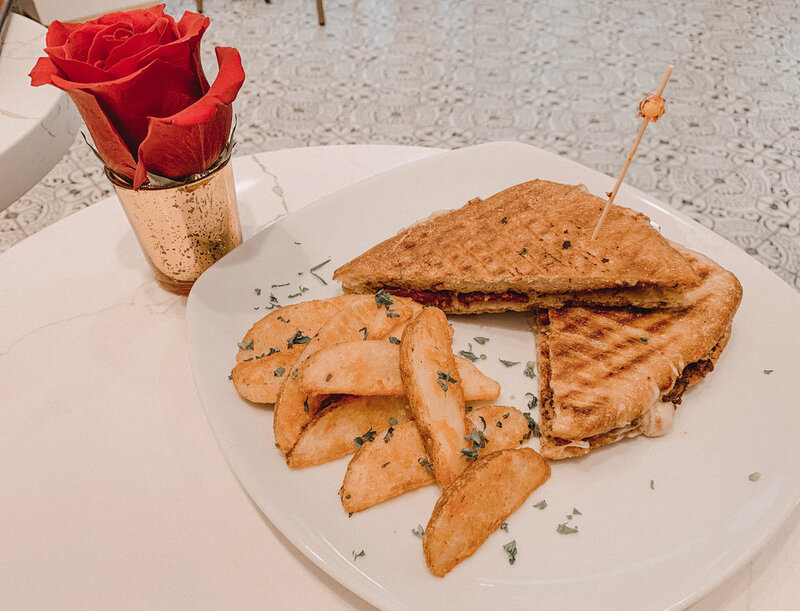 The menu at Utopia Euro Caffé features a multitude of authentic European pastries and desserts, fresh omelettes, pasts dishes, sandwiches, and so much more. Turkish baked goods grace the menu, and even classic Mediterranean side plates like homemade hummus, plus an approachable kids menu. There are plenty of varietal options for everyone, and each item is prepared with quality ingredients. Inspired by traditional European cooking methods, and Mediterranean flavors, this menu boasts originality. Whether you visit Utopia Caffé for a cup of coffee and a pastry, or are in search of a full meal, you are sure to leave satisfied and already planning your next visit back. Avocado Toast: two fried eggs, smashed avocado, cherry tomatoes, himalayan salt and soft herbs on sourdough toast.